To you and me, Marseille soap is a quaint artisanal product. But a century ago it was a huge international industry. And the centre of the craft was Salon-de-Provence. The trade slumped a few decades later when washing machines and detergents arrived, but there are two old-school factories in the city, plying their craft as they did a century ago and happy to receive curious visitors. Soap doesn’t tell the whole story of the city, as there’s a princely medieval castle and some sights relating to the enigmatic Nostradamus who lived and died here. The cute squares with plane trees and cafe tables, and rocky countryside of wild herbs, vines and olive trees are all picture-book Provence. Marius Fabre soap is sold all over the world and has been made in Salon-de-Provence for four generations going back to 1900. The factory is a rare vestige of an industry that led the world a century ago. 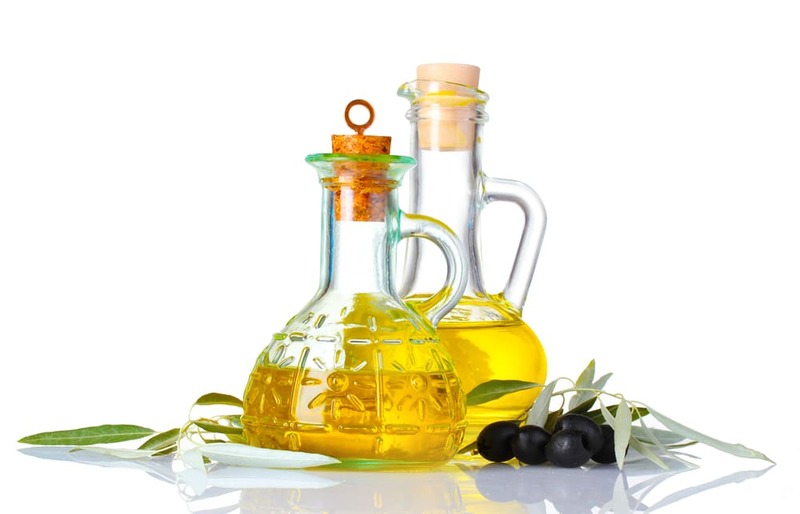 Free guided visits are offered in French or English, explaining all the traditional knowhow that still goes into this olive oil soap, from the first step to the completed product. There’s also a museum with antique boxwood soap stamps, moulds, crates and wonderful old packaging. Surveying the Crau Plain from its perch on the Rocher de Puech is Salon-de-Provence’s medieval castle. 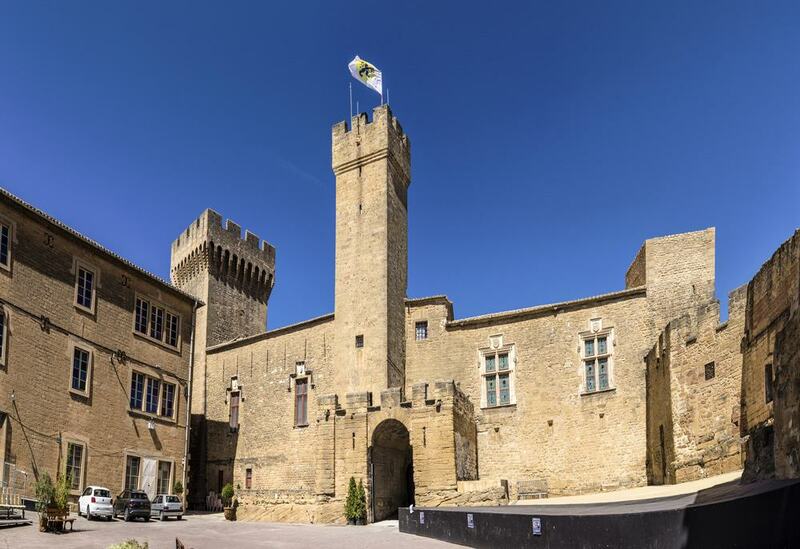 The towers are a symbol for the city, and cap a noble property formerly inhabited by the Archbishops of Arles and Holy Roman Emperors. The castle has a museum inside dedicated to the French military up to the First World War, so among many things you’ll notice how uniforms and small arms changed over the course of hundreds of years. There are some awesome showpieces too, like the gloves worn by Napoleon during the Egyptian campaign and a leather pouch belonging to Louis XV. 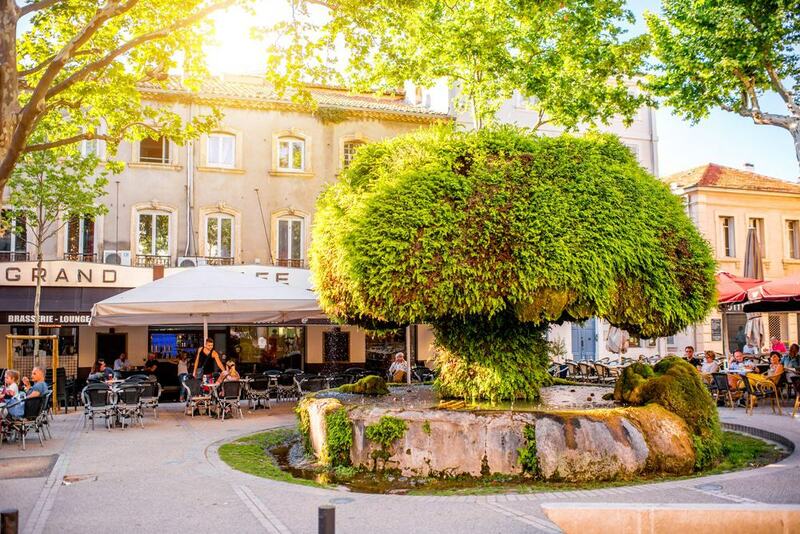 Salon-de-Provence wouldn’t be the same without its bizarre, mushroom-shaped Mossy Fountain on Place Croustillat. The fountain has been here since the 1500s, at a place where the town’s residents have sought coolness and shade for much longer than that. But it was only in the 20th century that concretions formed on the limestone, fusing the fountain’s two basins together. And since then moss and other vegetation has conquered the monument and caused its strange, fungus-like profile. Something else to admire while you sip a coffee or aperitif in Place Croustillat is a fine Baroque tower that marks the northern entrance to the old city. This went up in the 1630s and replaced the old fortified gate. There’s a lot of workmanship to run your eye over, from the gargoyles and quoins, to the clock, moon phase chart and the elegant iron campanile. Just above the pediment that caps the portal is a crest reading “La Loi” (The Law): This is an interesting remnant from the Revolution, as it is exactly where the King’s crest would have been. 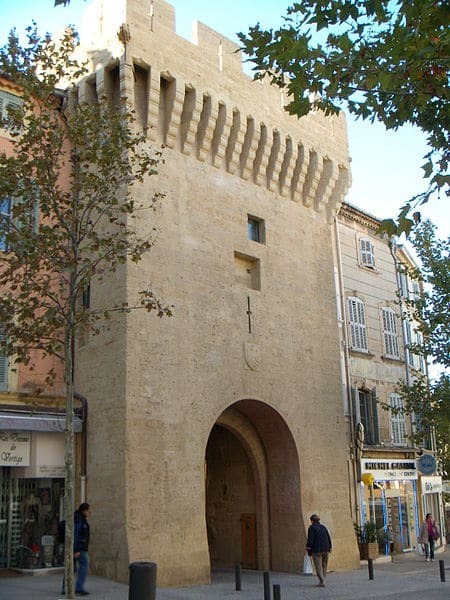 The hulking eastern entrance to the centre of Salon-de-Provence is more how Salon-de-Provence’s ramparts would have looked before the 1600s. It’s a hardy crenellated gate, with an arrow loop on the front and machicolations under the battlements. There’s a coat of arms just above the archway, and as you go through you’ll pass a medieval statue of the Virgin with Child. It’s a Black Madonna, and, as is usually the case, has turned this colour because of the build-up of residue over hundreds of years. On summer mornings the city’s other old soap factory is happy to show you its century of knowhow. Rampal has been in running at this site since 1907 and, because it sticks with time-honoured methods, makes soap that is both kind to your skin and the environment. Although this quaint old factory is from the early 20th century you’ll learn how the craft runs much deeper in the Rampal family, to at least 100 years before that. If you’re impressed by what you see here, or already know about Rampal Latour you can buy this artisan soap in bulk at the factory store. This 16th-century seer, born Michel de Nostredame, still has the power to fascinate people nearly half a millennium after he died. 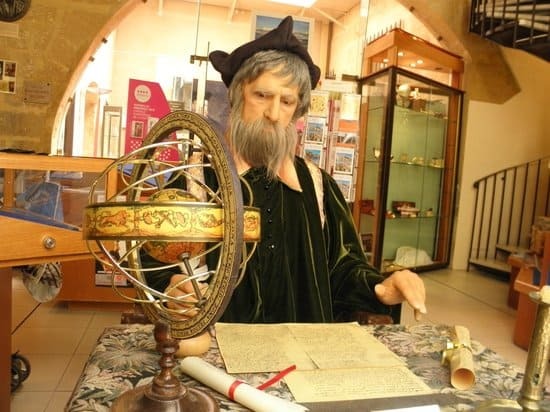 In Salon-de-Provence you can come to the house where he lived from 1547 to 1566. His best-known volume, Prophecies was written while he was at this address on what is now Rue Nostradamus. There aren’t any artefacts from Nostradumus’ time; instead you’ll get a 40-minute audioguide tour that frames the man as a Renaissance humanist, devoting himself to learning and science in the risky days of the Inquisition. This church was built beyond the city’s northern walls in the 14th and 15th centuries. It’s a Gothic edifice, but there are also hints of the Romanesque: You can see this earlier style in the lack of ornamentation on the outside, and how narrow the window openings are. This might also have been a way to counter the mistral and fierce summer sun, and keep the inside cool. Either way, the interior dazzles with some of its decoration. Things to hunt down in here are the 16th-century polychrome sculpture of Mary cradling Jesus’ body, and the tomb of Nostradamus in the Chapel of the Virgin. More of a sight to take in as you pass, the Hôtel de Ville still merits a stop and a photo. Like the Tour de l’Horloge close by, it’s from the 17th century, and bears a lot of similarities in its Baroque style. At ground level what will catch the eye is the fine wooden lintel, carved with Salon-de-Provence’s coat of arms. On the building’s front two corners are turrets, while the building is capped with a stately balustrade. On the square in front is a statue of the 16th-century engineer, Adam de Craponne. 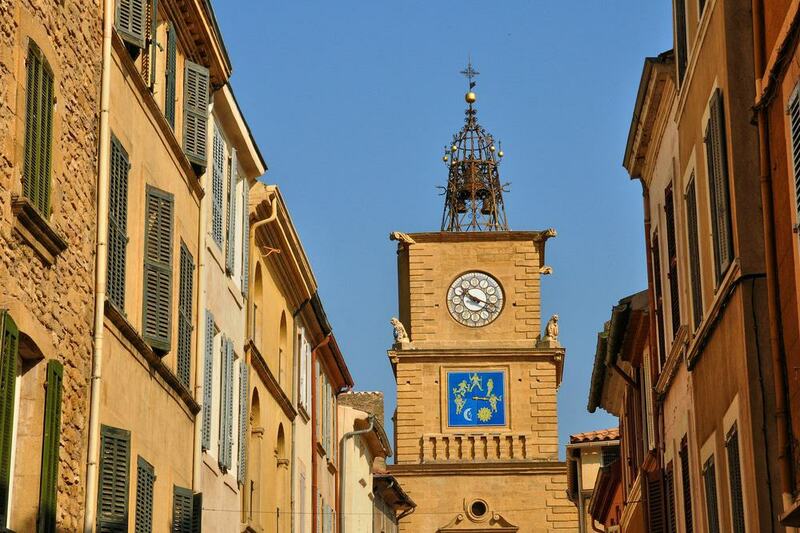 He was credited with opening up the town to agriculture by digging the canals that brought water from the Durance. Give it 10 minutes on the Route de Saint-Cannat and you’ll be at the gates of this highly-rated zoo. You’ll visit to see hundreds of animals from 120 different species, but also to see some more of the bucolic countryside on the plateau just east of the city. The park is in 30 hectares of holm oak forest, while if you’re concerned about animal welfare you might be happy to read that it channels profits to international animal protection projects. 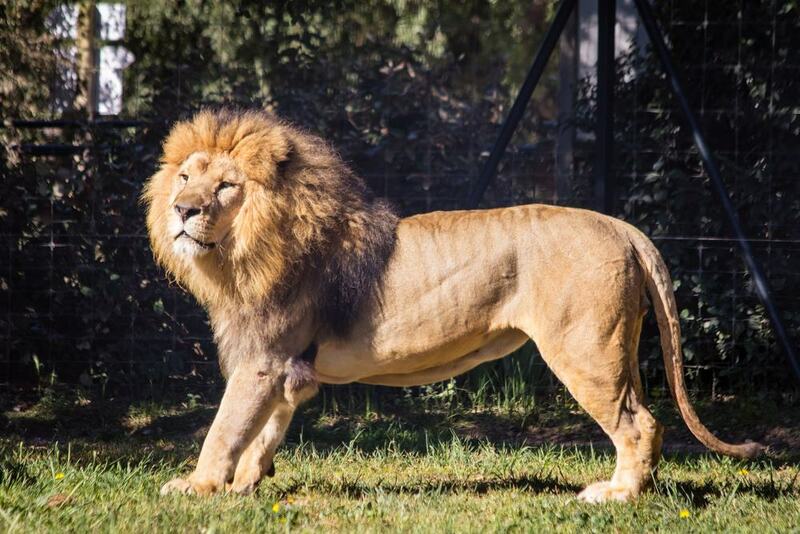 Kids will be happy just to see elephants, giraffes, tigers, hippos, various bears, wolves and jaguars. The southern spurs of the Luberon Massif are moments up the road from Salon-de-Provence, and outside the town of Mérindol there’s already some jaw-dropping rocky scenery to discover. The Gorges de Régalon are sheer limestone walls extending to more than 140 metres. In places the ravine is less than a metre across, and hardly any light reaches the floor. There are two car parks, and you’ll hike on trails through olive groves and pine forest, beckoning you to this unheralded natural marvel. The gorge is closed on rainy days because of the risk of landslides. If you find yourself in Salon-de-Provence on a Wednesday morning, stop what you’re doing and make straight for Place de Jules Morgan. 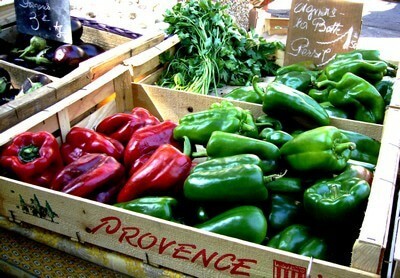 This is the scene of the large weekly market, which teems with stalls selling all of Provence’s specialities. But this being Salon-de-Provence there’s an emphasis on olives, olive oil, artisan soap and wine, but also the delightful navettes. Look for these in the pastry stalls; they’re boat-shaped biscuits flavoured with anything from orange blossom water to vanilla, chocolate or anise. Like the olive oil and soap they’re perfect for taking home to give to friends. 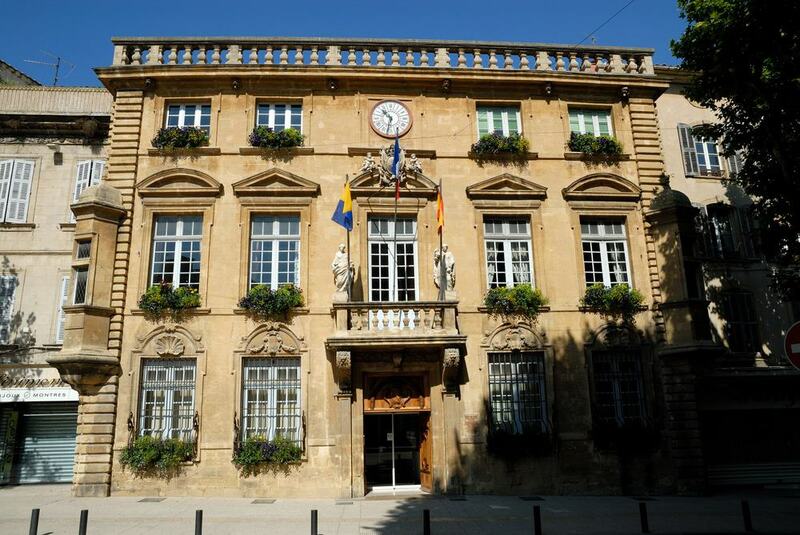 Another feather in Salon-de-Provence’s cap is that it’s a wine town, making Bouches-du-Rhone and Appellation Méditerranée IGPs (protected geographical indicator), as well as the Appellation Méditerranée AOC (controlled appellation of origin). 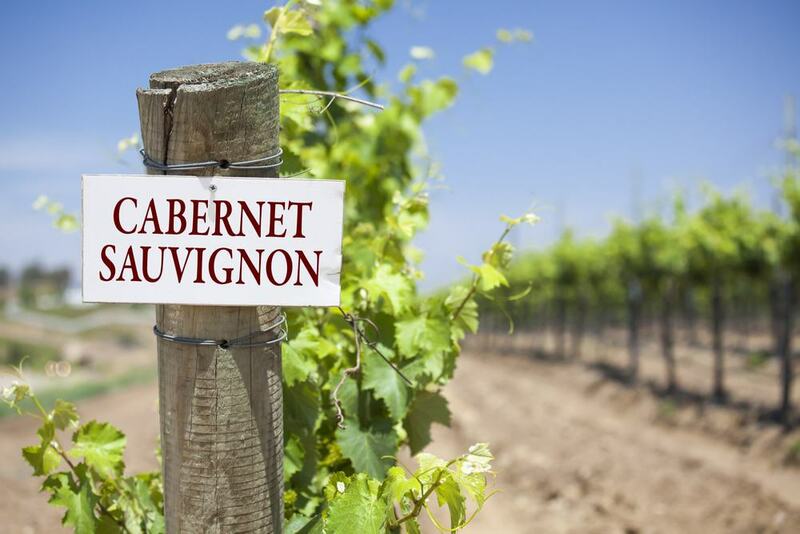 Ten kilometres down from the city is Château Calissanne, a domain with 250 hectares of vineyards growing Syrah, Cabernet Sauvignon, Rolle, Ugni, Mourvèdre, Grenache, Cinsaul and a variety of other grapes for dry reds, whites and rosés. The property is at the base of a spectacular escarpment and together with its selection of wines the cave sells preserves, olive oil and terrines. 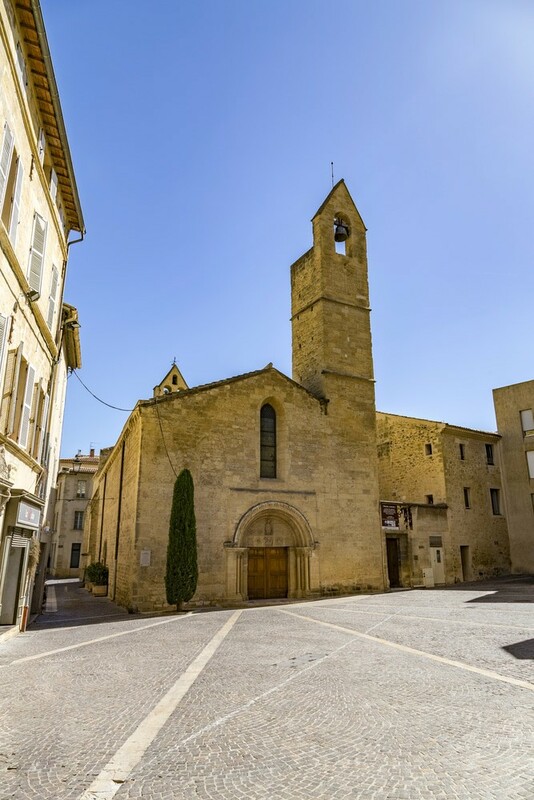 One of the quirks of fate that led to Salon-de-Provence become the soap capital was a catastrophic frost that killed off olive trees across Provence, while those on the mild slopes around this city were spared. Many of these groves now produce Provence’s AOP olives and olive oil. And if you want to know more there are a few domains that you can visit, where you’ll meet the owner for a thorough introduction to this ancient way of life. Mas des Bories is one such place and has groves littered with old dry stone huts and wild herbs like bay, lavender and thyme. For ten days every year on the cusp of August there’s a chamber music festival, inviting soloists from pre-eminent orchestras like the Opéra de Paris, Berlin Philharmonic and London Symphony Orchestra. Charging these performances with real solemnity is the venue, in the Renaissance courtyard of the Château de l’Empéri. They take place at 21:00 every night, while the Romanesque Church of Saint-Michel hosts earlier shows at 18:00. To keep the programme fresh there’s also contemporary classical music. And if you can you should try to catch a show in which live musicians accompany a silent movie.